Horace "Haw" Tabor may not have been long on talent or ambition, but he made up for it with sheer dumb luck. The year 1878 found the 48-year-old Tabor running a store in Leadville, Colorado, while his loyal wife, Augusta, kept a boarding house. Storekeepers at the time had the option of providing a "grubstake" for miners on their way to the wilds for a shot at fortune. In return, the storekeeper was entitled to one-third of any riches the miners discovered. That spring, Tabor grubstaked a pair of sorry-looking miners named August Rische and George Hook. They didn't seem to know much about prospecting, but the two of them wandered into the hills and, by chance, dug into a vein of pure silver. Their Little Pittsburgh Mine yielded $20,000 a week. Haw Tabor's $60 investment earned him $2 million in the first year alone without getting his hands dirty. 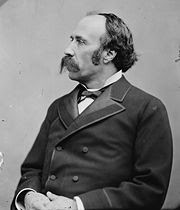 In short order he became mayor of boomtown Leadville and lieutenant governor of Colorado. Augusta, unable to adjust to her husband's meteoric rise, became more and more reclusive. Enter Baby Doe. Born Elizabeth Bonduel McCourt, and newly divorced from her slacker husband, Harvey Doe, she was blue-eyed, blond, spunky, and irresistible. In 1879 she met the newly-rich Haw Tabor. Despite their 26-year age difference, the two fell in love. Over the next few years, as Tabor's relationship with Augusta became more distant, his liaison with Baby Doe became increasingly public. 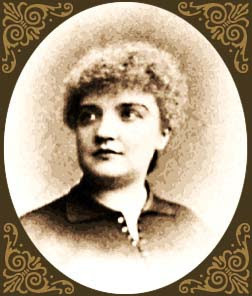 In 1881, Tabor quietly obtained a backwoods divorce from his wife (without bothering to inform her). At some point he and Baby Doe were quietly married. Eventually word of the secret divorce reached Augusta Tabor. She hauled her ex-husband into court and received a million dollar settlement. In 1883 Tabor was appointed to fill a 30-day vacancy as U.S. Senator from Colorado. He and Baby Doe took advantage of the chance to stage a lavish Washington wedding, attended by no less a person than President Chester A. Arthur. Soon, however, the gossip caught up with them. The priest who'd performed the ceremony declared the marriage illegal because both parties had been divorced. But since they'd already married each other earlier, it didn't make any difference. The wedding had been pure theater. That was the end of Tabor's political career. Although he and Baby Doe lived well for a time, and he attempted to run for governor and senator, public opinion had turned against him. In 1893 the final blow cam when the federal government announced that it was going to stop buying silver for its currency and convert to the gold standard. The crash ruined Tabor. Everything he had was sold, but nothing he could do was enough to support Baby Doe and their two daughters. In 1899 he died of appendicitis in the single room he shared with his family. Shortly before his death, he reportedly told his wife to "hang onto the Matchless Mine." Baby Doe spent the remaining thirty-five years of her life in a cabin outside the Matchless Mine in Leadville. Still beautiful, she could have easily remarried. She chose instead to "hold onto the Matchless." In early March of 1935, her frozen body was discovered on the floor of her cabin. Deserted by her daughters, she had passed into legend. Her life has been the subject of two books, a Hollywood movie, two operas, a screen play, a one-woman show and countless other books and articles.